ABC Landscaping & Sweeping works with homeowners in the Farmington area to provide comprehensive services to improve and maintain their properties. Mike will come out to your home and do a one-on-one walkthrough of your property with you to determine the services and specific details your property needs. Our landscaping services include gravel installation for driveways, bush and scrub areas, gardens, and more. From simple rectangular areas of white gravel to elaborate colored gravel designs, we do it all. 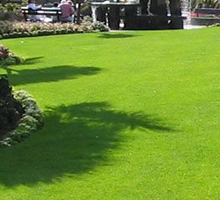 We also install and repair sprinklers, whether you have a simple lawn sprinkler or complex irrigation system. ABC Landscaping & Sweeping offers weekly maintenance services so your lawn stays beautiful while you focus on enjoying outdoor activities. One-time appointments or regularly scheduled maintenance can include lawn mowing, mechanical edging, fertilizing, and plant feeding. Our Farmington landscapers will help you increase the functionality of your yard for better enjoyment with our property clearing services. This includes the removal of invasive species, weeds, and the clean- up of debris. If you have a tree that’s blocking sunlight, invading your home with roots, or simply a nuisance, we’ll remove it for you. We also remove scrubs due to disease, overgrowth, or for landscape redesign purposes. Never prick bare feet on sharp weeds or be forced inside due to bees, ants, or other pests again. ABC Landscaping & Sweeping sprays weeds to prevent and control their growth. We also spray deterrents to keep insects away from your yard. 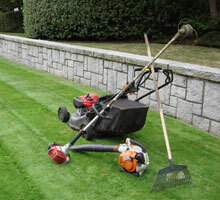 This service can be paid for individually or included in a lawn care package.